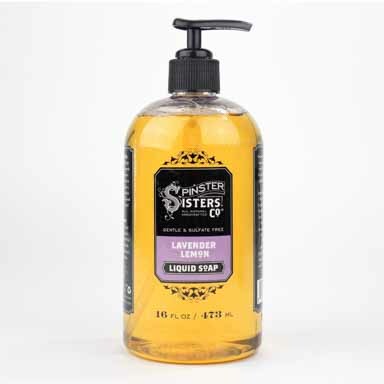 Liquid Soap | Spinster Sisters Co. Gentle, soothing, and incredibly cleansing, our Liquid Soap can be used as a hand soap or in the shower as a body wash. Find it in 16 fl. oz. bottles; also available in the bulk section to fill bottles in-store. For soap bars, shop our Bath Soap.